My fall-off-the-bone ribs are NOT spicy hot. This recipe has been really popular but having an international following has brought on some new challenges. I’m hearing, “I made your fall-off-the-bone ribs and they did fall off the bone but they were so spicy hot we couldn’t eat them.” It turns out that spices are not the same all over the world and the different labeling in some countries has caused my delicious ribs to be too hot to eat. But I don’t like spicy foods and my ribs are not supposed to be hot, so I am here to clarify the confusion for my international visitors. My rub and sauce recipes call for Chili Powder but I think some people are using Chili Pepper which is not the same thing. Not at all. Chili Powder is a mixture of spices and peppers and is a bit spicy but not anywhere near hot. That’s why I use 2 teaspoons in my rub and my sauce. But 2 teaspoons of Ground Chili Pepper, which is pure cayenne pepper, will bring tears to your eyes! As if that’s not enough, the terms “chili” and “chile” are often used interchangeably but they don’t always mean the same thing. Chili powder is usually a blend of spices and it not considered hot, while Chile powder most often refers to pure ground spicy hot chiles. Since every country is different, the only way to tell is to READ THE INGREDIENT LABEL and DO NOT USE pure ground cayenne red chili pepper. 26 Comments on "My ribs are NOT spicy hot." I love you keep posting.You are my favorite by far.I love your easy recepies and your sense of humor. Made these ribs yesterday using your recipe, the rub and your BBQ sauce,to say my family was pleased would be an understatement, the pork ribs just fell apart were tender and juicy thank you for sharing this recipe, I’ll try the beef ribs next. Glad to hear it. I’m from Canada too (London) and have visited Sudbury. Jenny, I KNEW there was something extra likable about you in addition to all the other things– you’re from CANADA! I love Canada and Canadians. I spent three summers in the Quetico in the early seventies, and went to racing school in Mont Tremblant in ’79. I fly a Canadian flag here in Atlanta. Love your recipes, and have made many of them for the family. Keep up the great work! Where do I find the recipe for how to cook the ribs? Do I use baby back ribs or the thicker saint Louis style ribs and what about quantity of ribs? Looking forward to cooking this recipe. Please look under Main Dishes. Where do I get the recipe for how to cook and prepare the ribs? Also how many pounds of ribs for this rub? Do I use baby back ribs or the thicker saint Lewis style? Hi Jenny thank u so very much for this recipe. I’m going to make it this evening. Thank you again and God bless. Would 1 tsp. of each cause a problem? One teaspoon of powdered chili would be VERY spicy. 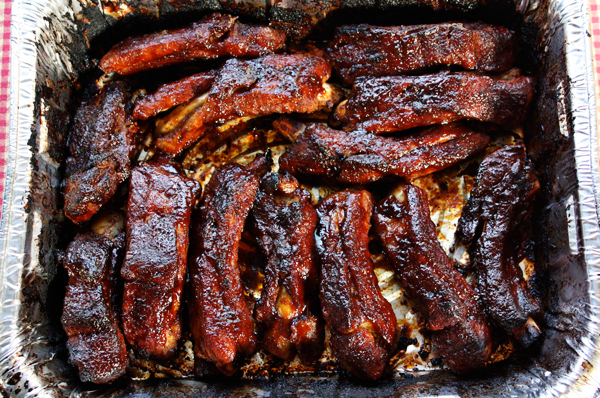 Jenny – I gotta tell ya, hon – this rub, along with these ribs are absolutely SPECTACULAR! Thank you SO MUCH for taking the time to share this recipe with the world! Also, I will be using your rub recipe (maybe very slight variations thereof) for all my smoking, grilling, and BBQ meats. These are better than the best “rib-joint” in my area! On your dry rub recipe, it appears in the pictures that the measurements look more like tablespoons then teaspoons. The picture was measured exactly to match the recipe. OMG! hahahahahaha …. I made this mistake last night .. and Im just reading this blog today …. Live in Auckland, New Zealand and although it was really hot after waiting for almost 3 hours … it was still yummy!! My chinese colleagues love spicy.. so brought it to work! Cant wait to try it again!! Thank you Jenny! 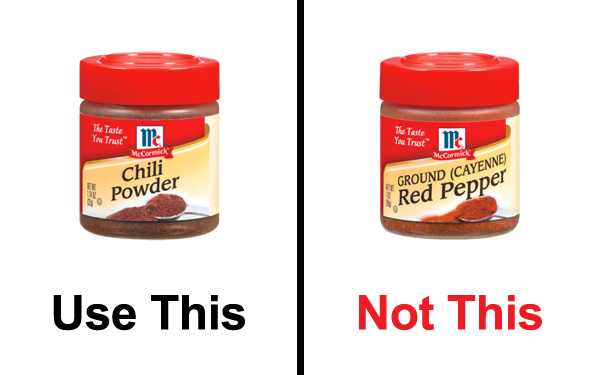 Chili powder is not spicy. It’s used in a lot of chili recipes. I think when people hear the word “chili” they picture “chili peppers” which is different. Chili powder is a flavoring that gives you that “chili” flavor in chili dogs and chili sauce. I made these ribs and they are NOT SPICY. They are delicious!!! I do not like spicy food and these ribs can never be called spicy or hot. Wow, I bet that was hot! Thank goodness you figured it out. Hmmm, I think I’ll err on the side of caution and use my house seasoning blend and for those who like it spicy, well we have a local dipping sauce made with either whole or freshly ground hot peppers. 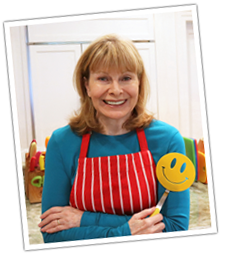 Thanks for the post Jenny and keep those recipes coming!